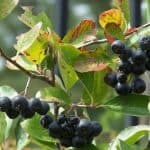 Fruit not only comes from trees; there are many types of fruiting shrubs and vines to choose from that will supply years of great flavor and nourishment to your table. 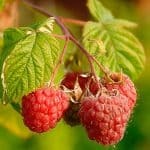 Berry bushes include raspberry, blackberry, blueberry, and aronia, to name a few. 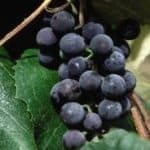 Grape vines are the classic fruiting plant, supplying mankind with sweet fruit and good wine through the ages. 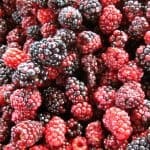 The health benefits of fruiting plants are well documented, supplying amazing amounts of antioxidants and other good nutrients. 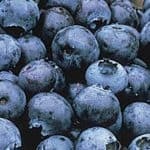 Aronias (chokeberry), goji berries, and blueberries are some of the more popular berries for good health.